Up in a flash and bursting with fun, the Kid Active Pop-Up Play Tunnel has you ready for playtime in no-time. 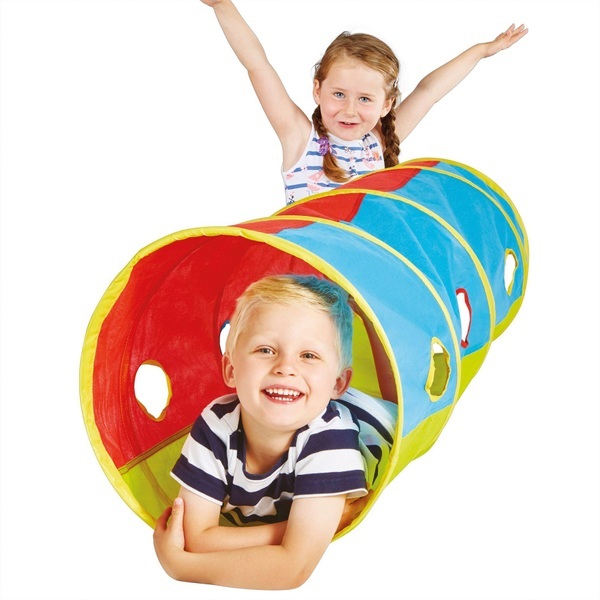 Ideal for adventures inside and out, this brightly coloured play tunnel is perfect for peeping out and crawling through with friends or siblings. Plus, the Kid Active Pop Up Play Tunnel is easy-peasy to put up and simple to store away. So whether they’re having fun in the house or playing in the garden, fun and giggles are guaranteed. EU Warning: Not suitable for children under the age of 2 years due to small parts which could cause a choking hazard. Keep away from fire. For family domestic use only.